Revolutionizing and revitalizing personal training in Stamford for real results. Coaching clients through a safe, effective, customized workouts. Guiding each individual through a detailed, comprehensive wellness program. Always being present to assist you in achieving your personal goals. Meeting unique challenges and responding to you’re changing needs. This is what Revolution Training provides. Hop on your mat for a hour long yoga practice to check in with your body, mind and breath to find what feels good. Take this time for yourself to let go of your busy schedule and explore new possibilities through movement and breath. Sweat Science Fundamentals is a package of 3 Personal Training Sessions. This is a unique fitness experience that helps you learn real boxing form and techniques one-on-one with one of our very skilled boxing coaches. This program provides you the expertise needed to get on par with the classes at Revolution Training and will give you a good outlook into what we offer at in the gym. It is calorie-torching, fat-burning workout which along with helping you build boxing skills will also help you learn defenses, and help you reach your personal goals while improving your cardiovascular endurance and build muscle. We raise the intensity level even higher with our hard hitting Power Boxing class. It’s a combination of intense, sweat drenching, cardio mixed with real world boxing combinations. You’ll be working with a partner doing numerous non-contact boxing drills, as well as perfecting your jabs, crosses, hooks, and uppercuts on the heavy bag. Class may not be suitable for all beginners. Our feature cardio boxing boot camp. 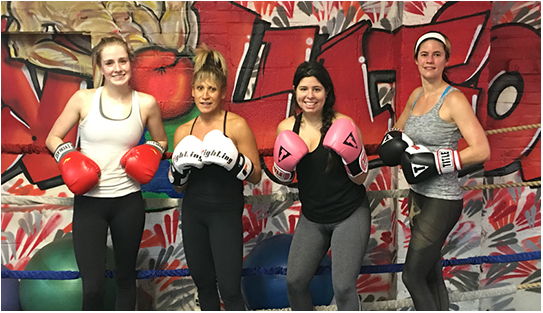 A high intensity, fat burning, cardio boxing class that combines core, agility, and plyometrics into one seamless boxing experience. Work the heavy bag with jabs, crosses, hooks, and uppercuts along with various conditioning drills that will help you shred your physique. After school boxing program designed to help students (Ages 12-18) learn the fundamentals of boxing in a fun and supportive environment. 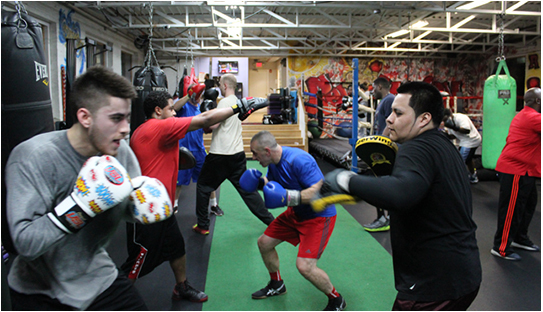 Our goal is not only to empower our local youth with the knowledge and skills to become better athletes and boxers. We also strive to empower them with the skills needed to become competent and caring citizens. Our after school program provides a safe, structured environment for youth where they can gain confidence, stay active, and make new friends.